Question of the Week- The Focus of Apologetics | J.W. Wartick -"Always Have a Reason"
What would you say is the single most important issue which apologists should work to understand more fully? Could it be the problem of evil? Natural evil? Textual criticism? 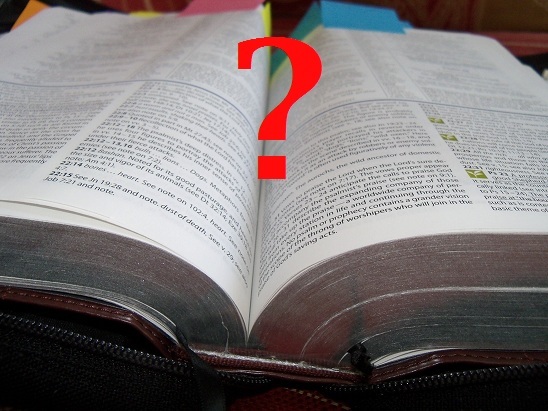 Defining inerrancy? Outlining the science/religion perspectives? Something else entirely? Let me know what you think the most important issue is in the comments. « Really Recommended Posts 7/18/14- the Jesus Myth, Apologetics, Avatar, and more! That reality is not an idea (though it includes ideas) and that God is distinct from the reality he made. All our discussion hinges on how we understand God and created reality. Either one builds on the rock, on truth, or one builds on particles of sand which may not be so much false as disconnected, amorphous, untrustworthy, liable to disintegration. Either one has ears to hear, or is becoming like an idol—PS 115—and one’s heart is hardening until one is merely “a noisy gong or a clanging cymbal”—1 Cor 13:1–3. Note that gong, chalkos and cymbal, kumbalon, connote hollowness. There is simply nothing inside, no life. Idols are all appearance, no substance. The White Witch waves her wand and the being turns to stone. I know this might appear very simple but I would suggest…..When we speak to non believers do we try to look at ourselves through their eye’s? I’ve encountered several apologists and I think the most pressing area of self-evaluation is that we can forget our first love (Rev 2:4). Apologists often want to argue about things within the church. There is a time and place for those discussions, but our main objective should focus on winning the lost.